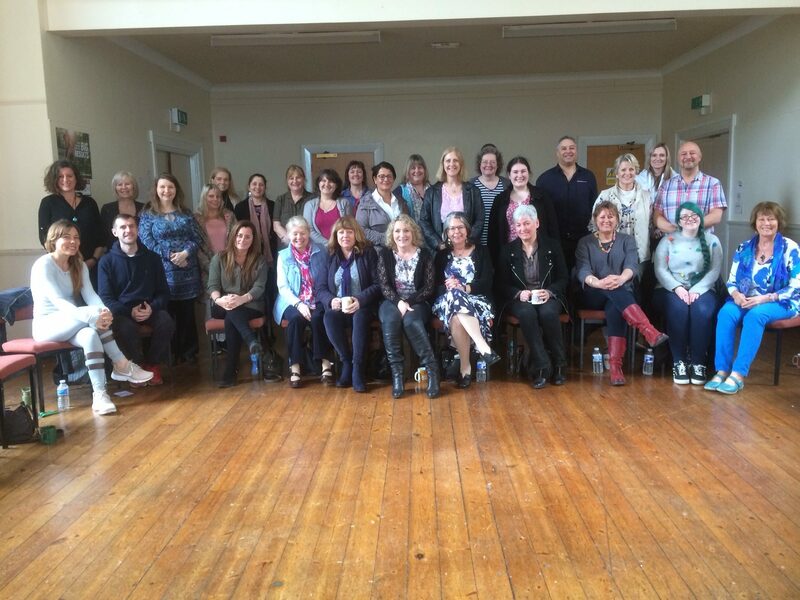 I ventured to Holmfirth Civic Hall on Sunday 14th April 2018 for my eagerly awaited attendance to the Angelic Reiki Association Northern meeting. The Sun was shining and my spirits high, I was not disappointed. We all witnessed the most beautiful demonstration by Rosemary Stephenson using her crystal bowls and harp, for sound bath music. We took part in the most amazing sound bath meditation,clearing and cleansing our aura and releasing negative ties. Rosemary has an angelic singing voice. I literally felt rooted to the spot and did not want it to end. After a delicious lunch, Jon Sabin a spiritual medium gave us a demonstration of Mediumship. It was the most rewarding day, meeting fellow Angelic Reiki Healers and listening to their different experiences. I feel very blessed to be attuned to the Angelic Reiki Kingdom of Light and being able to offer this gentle but very effective healing.